I remember a time not so long ago when I was promoted into a new role at work. It was a big deal. When I first started work at the age of 22, this was the moment that I had dreamt about. Yet, when it happened for me, I was instantly brushing off the achievement and thinking to the next milestone. I barely told my family and friends. Then, one day, one of the younger women who works for me turned and said to me: “Why don’t you celebrate your achievements? If you don’t, then why should I celebrate when I do well?” This really struck a chord with me. In that instant, I realised that if I don’t celebrate my achievements, both professional and personal, then what kind of example am I setting? I am proud of what I have achieved in my career and I am proud of the choices I have made in my personal life; the places I have travelled to, the things I have done, the people I have met, and my continual journey of personal growth. I shouldn’t brush that off. Yes, there are still many things on my list that I am yet to do, but I should not diminish the importance of taking a moment to pat myself on the back for what I have already done. If I ever have children, I would want them to be proud and rejoice their successes. That lesson needs first to be taught by me, so I must practice what I preach. I was at dinner with a group of friends recently. The topic of careers came up and when the conversation came to my situation, I decided to be honest about how I feel. 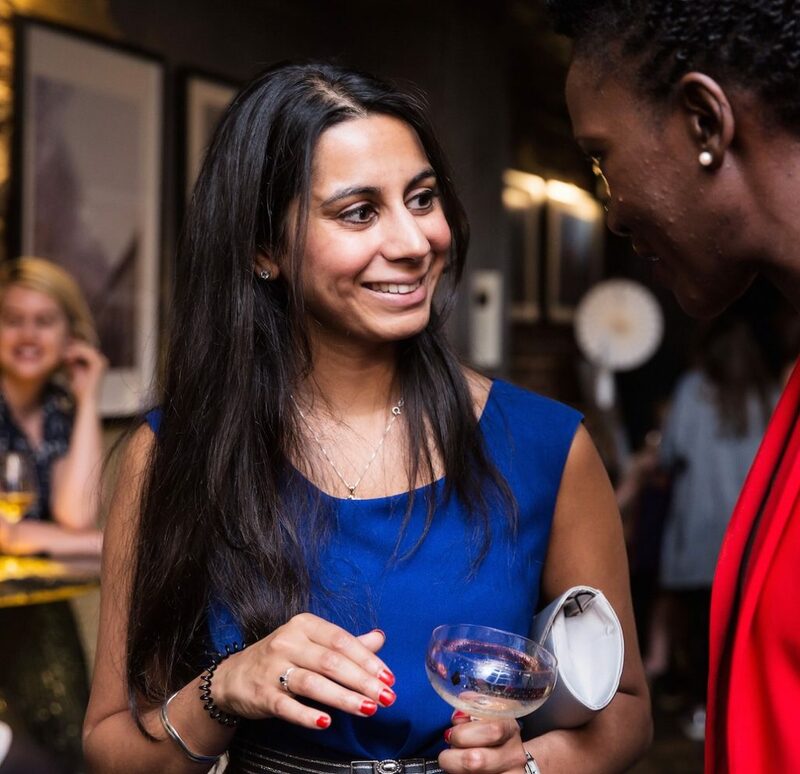 I took a moment and said “I’m really good at my job and I’m very well respected at my firm.” This was one of the first times that I had openly recognised myself and it felt great. I instantly felt empowered and more confident in myself. I am fortunate to know some amazing women, both within my family and friends. Women who are fierce, but in that non-aggressive way. Women who can stand side-by-side anyone and hold their own. None of these women, however, talk about their successes, unless asked, and I have never been able to definitively understand why. It’s not that I think we are ashamed of our achievements. To me, part of it is because, as a gender, we tend to be more emotionally aware and, as a consequence, we overthink every situation. In this scenario, it means that, when we do something great, the nagging voice in our head makes us believe that if we talk too much about our success, then people will think that we are bragging. That voice also tells us that our achievements are just in line with what others have achieved and so we would sound ridiculous if we bring them up out of the blue, so instead we keep quiet. I am a fan of a blog called Wait But Why (if you haven’t read it, then you should). In one blog entry, they talk about the concept of us all having a “Social Survival Mammoth” talking to us in our heads. I see this as a woman’s mammoth, telling her to shy away from being vocal about her achievements. As they say in the blog, we need to tame our inner mammoth! This is something that I still struggle to do. When someone pays me a compliment, I get instantly uncomfortable. My body tenses up, I brush off the compliment, and I try to change the topic straight away. Whilst it is still hard for me to take a compliment, I am a lot better than I used to be. I would say that has come from a couple of things. Firstly, it helps to independently recognise the positives myself. As an example, if I have done a great piece of work, I try not to shy away from thinking to myself: “I did a really good job with that project”. Instead, I recognise the thought in my head and don’t run away from it. That way, if somebody says it to me, I have trained my mind to feel more comfortable saying “thank you”, rather than brushing it off. I would also say that, as I grew into my late 20s and 30s, I became much more comfortable with myself. As part of that, I realised that actually I was as deserving of a compliment as much as the next person. Recognising that it’s okay to take a compliment is the first step. At the end of the day, sometimes we are just awesome and we should own that, be proud of it, and accept the compliment when others see it too! Whether you’re on Instagram, Facebook, or the gossip pages of a magazine, these days everybody always looks perfect. Photoshop, make-up, and cosmetic surgery have all combined to make people feel like they are not physically enough. Emotionally, we have all fallen into the trap of forgetting that perception is everything. Nobody talks about the things that are going wrong in our lives; we only talk about the good. It’s human nature. It is so easy to get sucked into thinking that we aren’t good enough compared to what everyone else is seemingly doing, or the people that they are becoming. How I take that power back is I make a concerted effort to surround myself with a few friends I trust and can be honest with. We are open about our fears and insecurities and, in those moments, I realise that I’m not alone in my thoughts about myself, and that actually who I am is enough; I’m not working against an unattainable goal of who I need to be and I am happy with who I am. In fact, we are all much more similar than we realise. The person I am and my achievements are enough because I am happy. And that’s all that matters really.